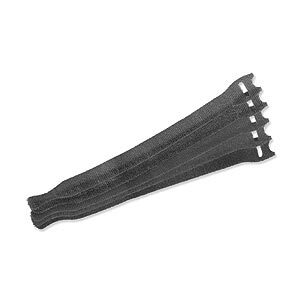 VELCRO, ONE-WRAP, VELSTRAP and VELCOIN are registered trademarks of VELCRO Industries B.V. Our VELCRO brand ONE-WRAP cable ties make it easy to organize and route cables. Now you can add cables, remove cables, or bundle and unbundled cables quickly without tools! No sticky adhesives like tape. No need to remove ties with wire cutters like zip ties.